Usually made up of two or more sofas that could be pushed together to make a longer couch, a sectional sofa is every home's first choice. Being versatile in its permutations and combinations, a sectional style sofa is also the most practical of all upholstered furniture, for large and small living rooms alike. 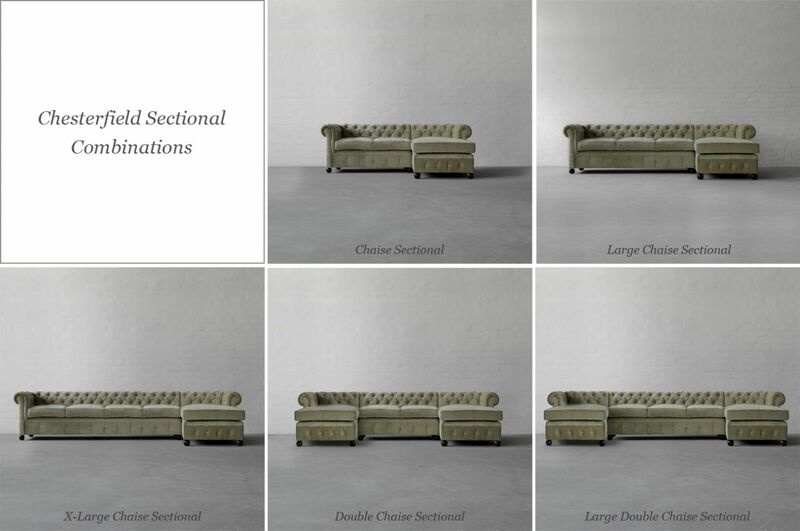 Introduced during the Victorian Era, and continued to be loved in the modern spaces, a sectional maximizes on seating, allowing smaller homes to utilize every inch of the available space while adding grandeur and fill extra large spaces in bungalows, which can be a challenge to plan. 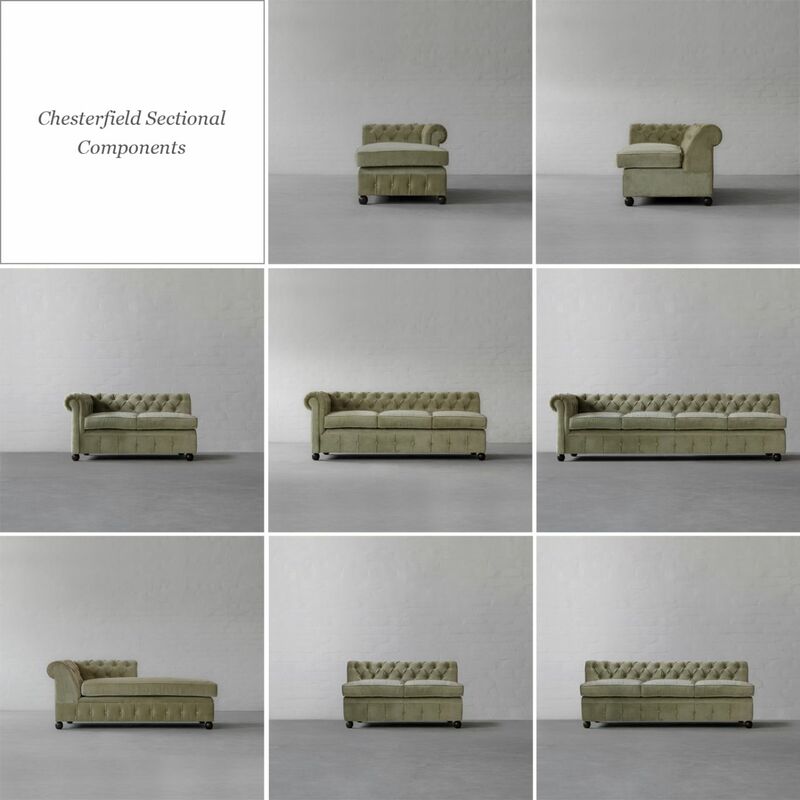 Here is a sneak-peek at our pre-configured Chesterfield Sectionals. 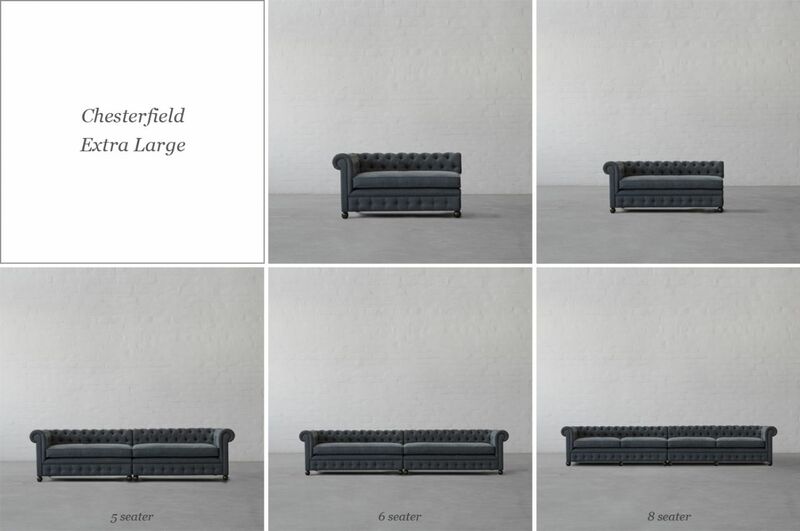 The Chesterfield conjures visions of English libraries or men’s clubs, with its tufted back and facade and high rolled arms. This classic Chesterfield sectional in fabric and leather options brings in enormous charm to your living room and is a handcrafted masterpiece by one of our 4th Generation sofa artisans. Composed of different individual components, this design is convenient to move and handle. 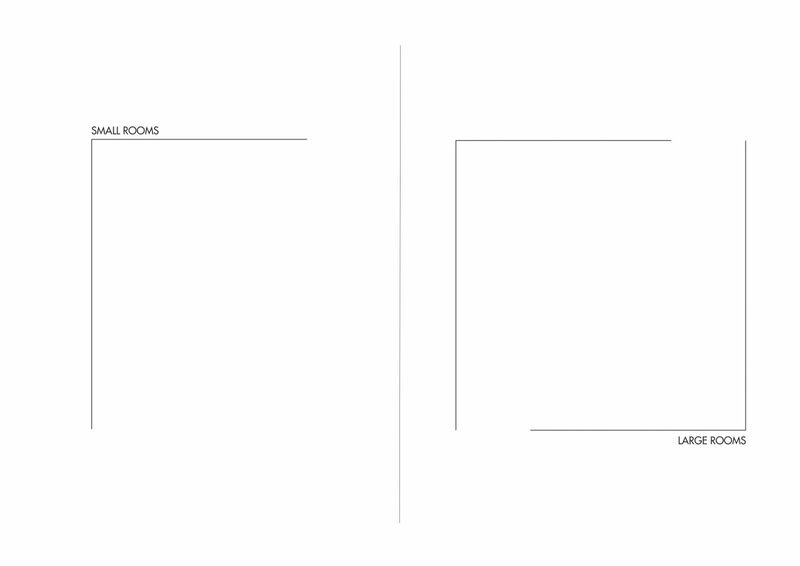 With so many components and combinations available for this classic design, create a look that utilizes your space in the best possible way while enhancing the look of your interior spaces.